Suzette Green-McCall Hails from Rahway, NJ. Born and raised in Elizabeth, NJ, she did some acting as a child in her local community. Suzette serves as the understudy for the lead role of Samantha Harris and acts as an extra as well. She also Plays the Role of Pastor Nelson or Minister Green in the Hit Gospel Stage Play "Yet Will I Trust Him." A Triple Negative breast cancer survivor, Suzette feels that she was healed to be a Blessing to others. Her love of Jesus has turned into a passion of ministry via acting. She prays that her ministry will save souls and let people know that GOD is in control and when you serve HIM, he will open up doors that you never dreamed were attainable. Her plans this ministry is to keep growing and secure other roles that will touch the lives of others. Suzette is also an aspiring model as well. She has graced numerous runways and has done some print as well. GOD Bless her on her future endeavors. 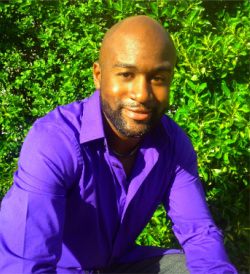 For recording artist J Rome, singing has been a passion and dream ever since he discovered he had a voice. His beginnings were shaped by musical greats the likes of Luther Vandross, Stevie Wonder, Aretha Franklin, Whitney Houston, Chaka Khan etc…. At age 11, J Rome was a part of the Washington Performing Arts Society’s Children of the Gospel Mass Choir, where J-Rome was handpicked by gospel legend Richard Smallwood, to perform his very first solo. 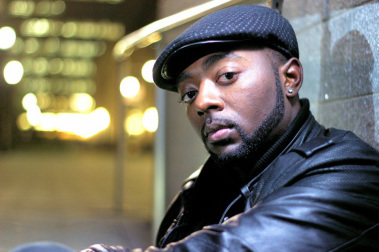 During the next seven years, he went on to perform at the Kennedy Center in Washington, DC; President Bill Clinton's Inauguration; Bill Cosby's Kennedy Center Honors Ceremony; and the grand opening of the Guggenheim Museum in Bilbao, Spain - with of an audience of 10k plus... J Rome has also performed and is currently one of the principal acts on the UK touring cast of the Michael Jackson "Thriller Live" musical production in London England…. 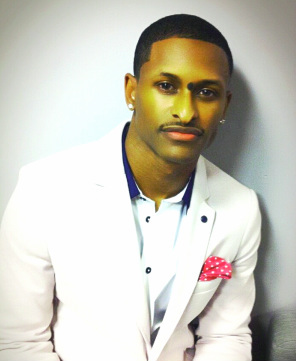 Recently J Rome was crowned season one champion of the ABC Network’s new singing competition entitled “Duets” with Grammy Award winning host Kelly Clarkson, John Legend, Jennifer Nettles and Robin Thick… Currently he is working on his latest effort “Beauty is Beautiful” with a Grammy award winning producer and engineer…. “I noticed when I was a child, no one really paid much attention to me unless I was singing, That's when I knew I could make a difference in this world. Now all I want to do is strive to make a difference in this world with my gift of song…. I will accomplish that, one song at a time”. Romans 8:28 reminds me that “All things are possible”. 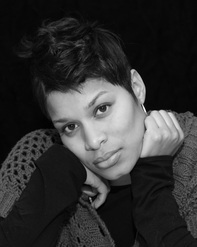 Lyndsay Bellefleur is a natural born singer who began honing her skills in the church from early childhood. As a former student of Hal Jackson’s Talented Teens, she soon begain acting on stag taking leading roles in productions of: Annie, A Raisin In the Sun, and For Colored Girls Who Have Considered Suicide When the Rainbow is Enuf. Lyndsay has been featured at Harlem Summer Stage, National Action Network Events, and opening for the Chi-Lites. As a graduate of William Paterson University with a degree in Sociology, she has a keen interest in community development. Today, Lyndsay lives in Irvington, New Jersey and remains focused on how to use her talents to serve the community. 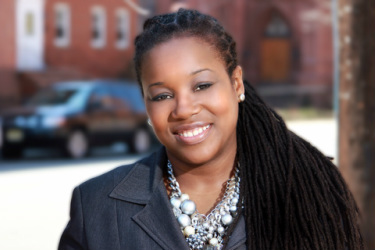 She is a youth choir director, mentor, and worship leader at her home church in Newark, New Jersey. Lyndsay lives to love, inspire, and encourage people both here in the States and overseas doing missionary work to advance the kingdom of God. From a young age Kyria, has always dreamed of becoming an actress. What drew this New York native to become an actress was her first major performance at Aaron Davis Hall with the production of My Fathers Will at the age of twelve, from that moment on she knew that acting was her gift. Kyria has been in numerous stage play’s including The WIZ with the Harlem Repertory Theatre Company during the summer of 2009 and has done film work for The Los Angeles Art Institute, SiTV in Los Angeles California and New Line Productions. She is also a playwright and director. She is a theatre major at City College and she has such a passion for acting. Knowing that her gift came from God only, she strives to achieve her goal. Kyria is a young woman with high expectation and countless ambition, “dream big, the sky is the limit” for Kyria and she intends to reach her dream on becoming “one of this world’s greatest actresses”. Albert "Tyrone" McAllister Jr. Hails from Linden, NJ. Born in Newark, NJ. Albert is making his acting debut as rookie "Keith Brookings" in the Hit Gospel Play "Underneath It All". Albert worked behind the scenes as stage hands for the Hit Gospel Play "Yet Will I Trust Him." A member of Morning Star Community Christian Center, Albert will be playing the role of Daquan Carter in the sitcom "Kean Street Project." His love of sports led him to volunteer as a Peer leader in the "Masterpiece Program" on Friday andSaturday nights to help keep the youth off the streets of Linden. 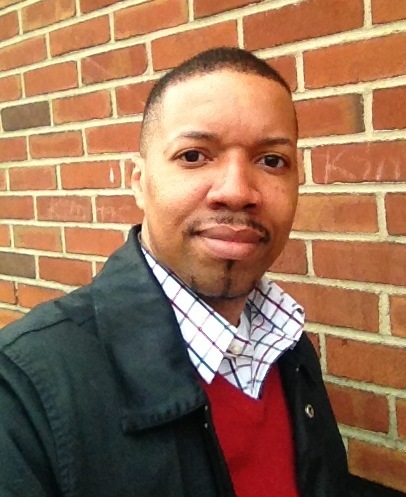 He plans to attend Lincoln University; a Historical Black College inPA. Albert knows the importance of serving the Lord and wishes to continue to be a blessing to others. He intends to continue persuing a caree in acting, modeling and business management. A native of Camden, NJ and currently resides in Plainfield, NJ. She is a graduate of both John Jay College with a Criminal Justice Degree, and John Casablanca Acting & Modeling School. Currently she is furthering her acting studies in the NJ/NY Tri-state area. De'Borah has worked with acting coaches such as Michael Logan, Janet Jordan, and Tasha Smith (Why Did I Get Married"). She made her debut on the released “KING HE IS” video with Recording Artist CL of C-EL Entertainment 2009. She also made an astonishing appearance in the gospel video “I Found the Joy” produced & directed by Brian " B. Kyle" Atkins. Her most recent accomplishment is hosting her new cable show "H3" (Holy Hip Hop) a partnership of Gospel Central… In her spare time De'Borah enjoys listening to classical music, having cook-offs with family and friends, and helping out with Fugitive Recovery missions A.K.A Bounty Hunting. One of her favorite quotes is, “Have confidence in your ability and then be tough enough to follow through” – Rosalynn Carter. “Yet Will I Trust Him"
Shenelle Wallace is a Singer/Actress from Brooklyn New York who began singing and performing since the age of 8.Her first songs were sung in her church choir and school chorus. In pursuit of perfecting her craft, Shenelle began vocally training, investing in the talent that she loved. At just 12 years old she was directing the youth choir at her church, and at 17 she became the Church Organist. In 2006 Shenelle starred in her first major production, a remake of the Broadway show “Dreamgirls” where she was a part of the cast and given the role of Choral Leader. Later that year she won the title of “BET’s Dreamgirl”, through a competition given by the network in promotion of the movie. The roles for Shenelle have not stopped since. She has been acting in theatre productions every year after, including In The Name of Woman, Who Do You Love, Gain the World, and much more. Born to a preaching father and a singing mother, both of Jamaican descent, Shenelle credits her success to her firm foundation in Christ. 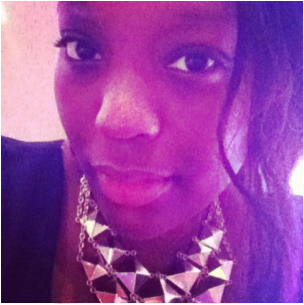 A graduate of Long Island University, Shenelle is the founder of SoDivineMagazine.com, an online magazine for youth and young adults. She is a member of the United Evangelical & Missionary Outreach where she sings and plays, and continues to use her efforts and talents to spread the “Good News” that is the Gospel. A'ndre is a soul singer/actor/songwriter from Newark,NJ. He has performed with some of the best in R&B music including Tank, Kem, Avant, Joe, Brian Mcknight, Frankie Beverly and Maize, Musiq Souchild, Patti Labelle, and India Arie to name a few. In addition to singing, A’ndre’s first interest in the arts was acting. He has landed roles in stage plays such as Dream Girls, Looking For Love In All The Wrong Places, After The Walk(Starring Kelly Price), and many others. His love for Christ continues to keep him humble and his love for entertainment pushes him to strive to always become better at his craft. His Motto: “ Going Till I Get It”. A young man born in Jersey City, Shaheed K Woods was destined for greatness. He gain a gift for impressions as a child, and still cultivates and develops this gift to this day. As an actor, Shaheed has done several film and theatre productions and looks to break into television. He is also a talented stand-up comedian, and took on the name BiGSHA. 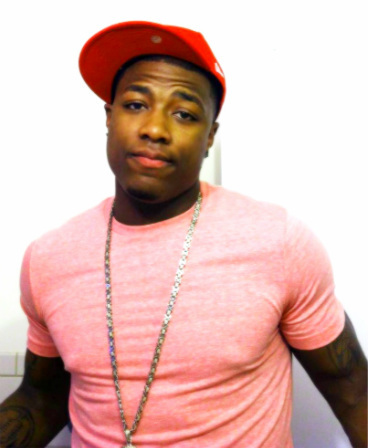 Shaheed “BiGSHA” Woods is an individual with a great spirit and a passion for his craft. He lives currently in New Jersey, and is a screenwriter and poet, a renaissance man at best. BiGSHA is a name to remember. Jillian resides in East orange, NJ. From a young age she has always aspired to be great. Always having a strong passion for music and drama, she has rendered her talents to many plays and productions. She lives on the stage and has traveled throughout Europe singing in various venues. She has shared the stage with many Grammy award winning artist, and musical icons. She won’t stop until she is hailed one of the greatest of all time. Her strong relationship with God keeps her humble and grounded. She realizes that without him none of it would be possible. She is truly thankful and excited to be apart of the UNDERNEATH IT ALL cast where she will get to share the stage with some very talented young people including her BFF Kyria Geneva. Wesley Benjamin Renard always had a natural-born love for customer service, which brought forth an understanding to what his true passion really is. Narrowed his skills to his God giving talents of Professional Acting for the purpose of bringing joy, happiness, tears and excitement to the eyes of others. Although, he is still growing in the world of acting, he lashes onto something that may not always bring in money, but, nevertheless, a profound passion purposely for serving others, and ultimately God. Wesley currently attends acting school in New York City and resides in New Jersey. Humbled, he strives for excellence for the role of Roger Levine, which through Christ all things are possible. .
Matthew was born and raised in Jersey City, New Jersey. Although he is new to acting, his love and passion for the craft has been brewing for years. He loves doing new things and taking care of his family; but most of all, he loves doing for the Lord. No matter how big or small, Matthew puts his all into all that he does and is looking forward to being used by God in the awesome play "Underneath It All," and being part of this wonder cast. Lalia Washington is originally from Henderson, NC, but currently resides in Plainfield, NJ. She has loved acting and singing ever since she was a little girl. She sings in the Faith Temple Choir of Elizabeth, NJ under the leadership of Rev. Dr. Bernice Jackson, and also is a choir director. While studying at Essex County College, she modeled in several local fashion shows. Lalia performed in school, and church plays growing up, and currently has a role of understudy for ‘Alicia Waters’ in the gospel stage play “Yet Will I trust Him”. Wherever the Lord leads her, she is willing to follow. My name is Tremayne. I'm 29 years old from Newark NJ. I am a singer/actor/songwriter/model My 4year scholarship at a Performance Arts school in NYC; Champions Studios has allowed me to perform at various venues throughout NYC. Entertainment is in my blood. I have been singing since the age of 8, acting at the age of 15, writing my own music since 17 and modeling since the age of 20. In my career I have been able to work with and had the great honor in meeting great people within the industry. God has blessed me tremendously and as long as I keep my head up and allow the Lord to order my steps, His will shall be done. I pray that I am made rich in God's glory and I continue to do the work of Gods kingdom.